Another electronic project related to LCD. 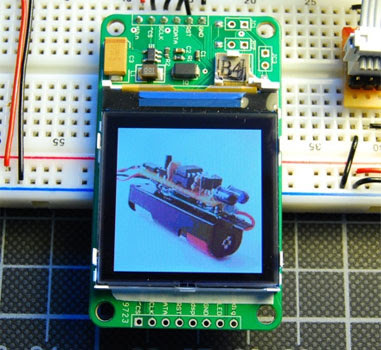 Alex has created microcontroller project : Flickr images on a Nokia LCD. The "brain" used microcontroller AVR ATmega48 and the software, he decided to fetch images from Flickr using Beej’s Python Flickr API.